Your upcoming movie Adaline - in a few words, what is it about? It�s about a young struggling artist Daniela who inherits an old house from a distant aunt who she never knew existed. Daniela moves into her Aunt's house in San Andreas and she eventually meets some of the locals. Life seems perfect. While staying in her house, Daniela has a series of bizarre dreams. She also finds a 100 year old diary of a young woman, Adaline, who used to live in the same house with her father and two sisters during the early 1900�s. Adaline also left some cryptic prophecies hidden away in the attic. Later Daniela finds out more about Adaline in that she had special powers and could supposedly see into the future. Her premonitions used to come true and the local people called her the village witch of San Andreas. 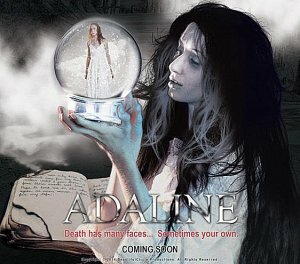 Did Adaline see something really terrifying in Daniela�s future? Is that the reason why she is trying to reach Daniela through the dreams, diary and written prophecies? What were your inspirations when writing Adaline? Story and believable characters are important to me. I�ve read many stories since I was a kid and I�ve always liked stories based on a different time period. After doing a lot of research and thinking I based my story on three sisters, their relationships with each other and how they all died at a young age. I used that as a starting point for the rest of my story where I extended it further by making the youngest of the three sisters have psychic abilities where she could see into the future. I used this as the core theme where this psychic sister from 100 years ago foresaw an impending doom for a modern day girl who recently moved into the very same house where the three sisters used to live. My inspiration for believable characters comes from certain interesting people I�ve met along the way. For example, there was an older lady who was our neighbor in India when I was growing up. She was nice but very curious about other people�s business. So I wanted to incorporate that in Becky�s character where I made Becky into a small town nosey lady. A while back I met a younger guy who was very nice and sweet. He was slightly mentally challenged and talked in a very unique way. Then years later I met another guy who used to work in a shop I often went to. His mannerism, his outfit (colors didn�t match and the style of clothing was not contemporary but he didn�t realize it) and his body language caught my eye. So when I was writing the script I combined these two people and that�s how my Marvin�s character got born. What can you tell us about your film's approach to the supernatural and uncanny? I wanted to make a film with a believable story. 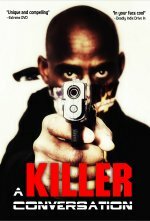 My film is not a gothic, slasher, horror movie. It�s basically about a psychic girl from a century ago called Adaline who has visions of a terrifying future that were going to befall a present day girl called Daniela and the attempts Adaline makes to reach out to Daniela to try to warn her even at the risk of her own life. Do talk about your movie's look and feel for a bit! The intention of the movie is to keep the audience interested and surprised. The look and feel of the movie is designed to reflect this by adjusting the pace and intensity and contrasting the life of the current day girl with that of the girl from a century ago. A series of ominous events builds up which adds to the tension and uncertainty for the audience to know whether or not this current day girl will finally pay the ultimate price. What can you tell us a key cast, and why exactly these people? When I was writing the story and creating the characters for Adaline, I envisioned the characters in a very specific way. Each actor had to be able to portray a certain character type which is different from the others. After several audition sessions I was happy with who I found for each of the characters in the film. Our lead actress, Jill Evyn, had to play a double role as the present day girl Daniela and the psychic, Adaline, from a century ago. Both characters were related but had different personalities and so I had to find a strong actress who could play this duality and at the same time make it believable. Jill was just the right person for the role. I was lucky to find the right actors for the various roles. They needed to make their characters believable and be able to deliver what I had envisioned for the characters and in the end they did. 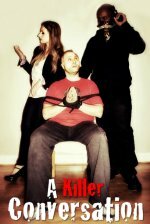 The key cast were Lane Townsend who played John, Jeremy Walker as Marvin and Emily Claeys who played Megan in the film. I suppose for a film like this, the right location is of the utmost importance - so what can you tell us about yours, and the advantages but maybe also challenges of filming there? A couple of our key locations were hard to find. 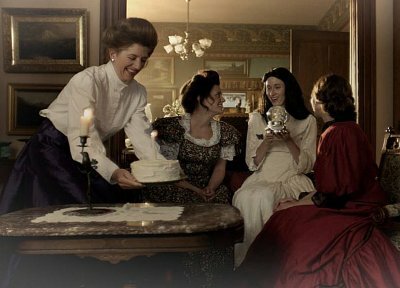 This film is based on a Victorian house located in an isolated place, surrounded by a wooded area. Fortunately we found a house in Northern California which had a really amazing interior and exterior. 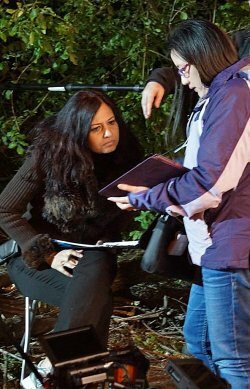 We shot quite a lot of scenes outdoors in the woods at night when it was very cold, damp and muddy. That was pretty challenging for the entire cast and crew. One of the great outdoor locations we shot at was a 40 acre wooded area and one of the challenges was that the week prior to shooting it had been raining quite heavily and so about half of that wooded area was under water. Luckily the water level went down by the time we had to shoot but it was very damp and muddy during that particular shoot. 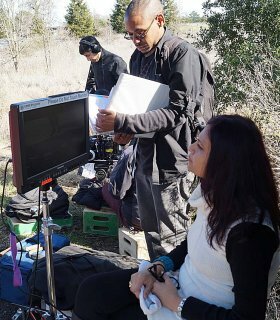 I was really happy with the locations we found in Northern California which is where we shot the entire film. The cast and crew got on really well together. We were very lucky on that front. It was a labor of love where everyone went above and beyond their normal duties as everyone wanted the story to come to life and get released to the public. Here�s one anecdote I can tell you about the shoot. One night when we were doing an outdoor shoot at 3am at night an almost naked guy, wearing nothing but his briefs and obviously very intoxicated, came out from nowhere swirling around a baseball bat threatening to shut us down even though we had all the full permissions from everyone to film where we were at. In the end we came to an amicable understanding which did not involve giving him any alcohol or a part in the film nor calling the police. The $64-question of course, when and where will the film be released onto the general public? We�re hoping for Q1 of 2015 but that all depends upon the distributors. Currently I have 2 projects we�re looking at potentially producing. One is a period piece called Weeping Lilly and another one is a suspense thriller with a twist. When I was young, I lived in Kolkata, India. I was always mesmerized by films but there weren�t any kids movies at the theatres like we have today. The films were all geared towards adults so instead I used to read tons of story books, even hiding from my parents to do so. When I read books as a child I used to imagine stories in film format in my mind to amuse myself. From all the books I read I had a lot of ideas for stories but there was no creative outlet for them. 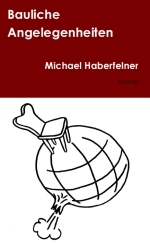 Decades later after moving to the US I started writing my stories in scripts. Then when I finally found an opportunity I started getting involved with the film making process through working on numerous short films. What can you tell us about your filmwork prior to Adaline, and your evolution as a director? Starting from 2006, I worked on several sets doing different jobs and this is where I got my start. Then I decided to make my own short films and I wrote and directed two of my own 30 minute shorts in 2010 and one short in 2012. Still at that stage, never ever thinking that one day I could ever make my own full length feature film. I love the whole process of filmmaking, starting from writing the script and during pre-production I love to spend hours creating props and designing costumes for the characters as this helps me grow a stronger connection with the characters and allows me to tell a better story. A few words about your company Beautiful Circle Productions, and the philosophy behind it? The company was set up to produce films which have a strong story because basically we are story tellers. BeautifulCircle Productions has a great team comprising many talented individuals that complement one another. Film production is always team work. We want our films to appeal to audiences of all ages and demographic, as our central philosophy is simply to have a great story. During the script writing process I visualize in my mind as to how each scene should play out in detail including the intensity level of the acting as well as the naturalness and flow in the acting and many more variables. So when I�m directing I try to guide my actors to execute on my vision but I also allow them to have the freedom to improvise to see if we can capture something special. Above all, the actors need to come across very naturally and free flowing and not get too stressed trying to memorize every word in the script as I don�t want them to look mechanical, though knowing your lines reasonably well is important. There are many great filmmakers who have inspired me ranging from the obvious ones such as Woody Allen, Clint Eastwood, Alfred Hitchcock, Kathryn Bigelow, Steven Spielberg, Martin Scorsese, Francis Ford Coppola and of course the late great Nora Ephron. There are also many great filmmakers from India who have also inspired me such as Satyajit Ray, Rituparno Ghosh and Mira Nair to name just a few. There are too many to name all of them but I always love films with compelling story no matter if they are big studio epic films like Stanley Kubrick�s Spartacus� from 1960 or the more recent Gladiator and Titanic. I like all of Woody Allen�s films. There are also many Indian films I really like including Chokher Bali, Water, Black, Parineeta and The Japanese Wife to name a few. I wouldn�t say I deplore any film because those filmmakers still put in a lot of effort, passion and heartache to create their films. Very few people really understand just how difficult it is to make a full length independent feature film and it�s twice as difficult when you don�t have huge funds to be able to throw at problems like the big budget studio films hav,e so my total respect goes out to anyone who has managed to complete a full length feature film. I am able to tell within the first 5 � 10 minutes if I want to continue watching a film and there have been a lot where I stopped watching after just a few minutes. Even after doing this I still don�t �deplore� those movies because I only wasted a few minutes of my time and there will be other viewers who have different tastes to me who may love those particular movies.